No you don’t! Even as uniformed leaders you don’t have to be able to make it every week. Only if you want it to! You can choose how much time you want to devote. So yes! Some of us do choose to spend many hours every week but equally some people only choose to spare a few hours a year. No it doesn’t! The training is now “NVQ” style. For some roles only a few modules are needed and even if going into uniform you have up to 3 years to complete all the training. Many modules involve a DVD and / or a workbook so don’t need to involve a course to physically attend. Some modules can be signed off simply by showing what you already do at work or at home. Even if courses are required many are run of an evening, or perhaps several over a day. Courses are a great way to meet people who are in similar roles and get new ideas such as programme planning or ideas for themed camps for example. Oh yes you can! In fact some Leader’s have grown up children, and some don’t have any children at all. Oh yes you can! There are lots of ways you can help that doesn’t require a Scout Leader’s uniform. What makes you so sure? Just come along and see what’s involved. It’s only 2 hours a week. This isn’t an actual statement that has officially been said. No one knows where this started and infact when it started. Again another Scout myth. 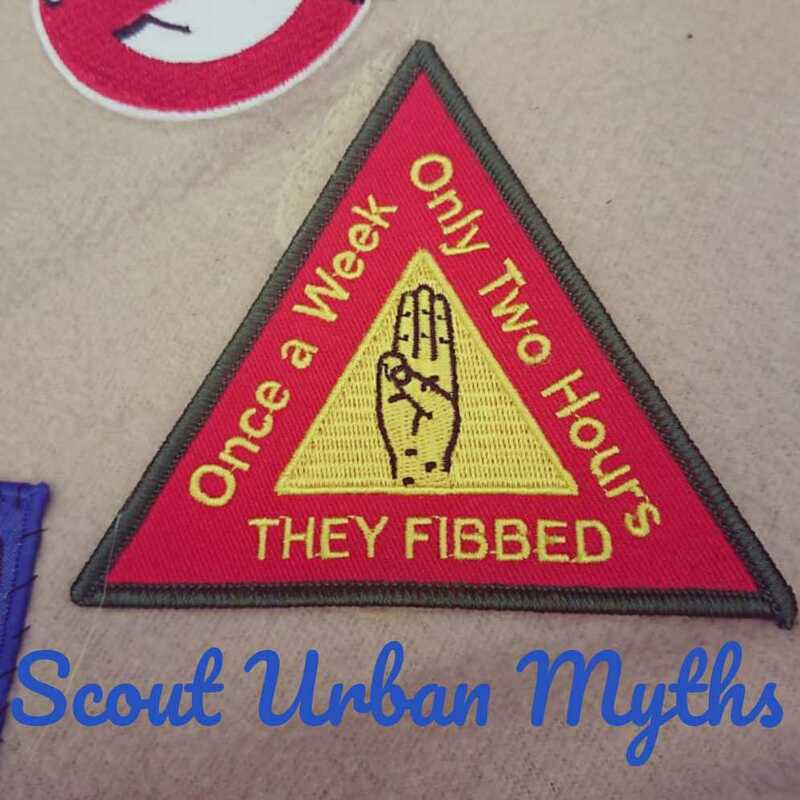 It can be less than an hour a week or the opposite side and be more than 2 hours a weekend depending on your Scouting role and what you can actually give up. You do need to be wearing Scout Scarf to be insured on a Scouting activity.- Wearing Scout uniform is not an insurance requirement. Well, you wouldn’t go swimming in full Scout uniform, but members are insured while swimming. British Bulldog was banned because of Health & Safety. The truth: The playground game British Bulldog was banned by many scout groups and Schools due to concern arising from the danger it caused. No national or legal ban was put in place, but many scout groups and schools still feared for the welfare of the young people on playing such a violent game, so they don’t run this game. Scout’s aren’t allowed to throw Axes. Axe throwing isn’t banded in Scouts. New POR coming out shortly will change from Axe throwing to Tomahawk throwing. A very funny Scout urban myth I heard that due to sheep and cow droppings in a field a scout group was stopped camping in that field by the D. C.
Beavers can’t sleep in tents– There are no longer any specific restrictions to Beaver Scouts taking part in residential activities, except for the normal section ratio’s. As with any nights away activity consideration should be made to the suitability of the opportunity for the young people. The Scout Association is an inclusive, values-based Movement, which supports its members to engage with spirituality in an exciting and meaningful way. The Scout Association in the United Kingdom is an open association. This means we are made up of Members of different faiths, including those with no faith, and identify ourselves with no one faith exclusively. Different versions of the Promise are available to suit different faiths or those who have no affirmed faith. Scout Leader’s get paid and its a full time job. Unfortunately, as a voluntary organisation The Scout Association is unable to pay volunteers for the time they give to Scouting. People who do scouting for a long time but do not make it in District air County Scouting are rarely recognised for their service. Although I have been in scouting for fifty five years, but am only an assistant cub leader, the reluctance of people to recognise my service amazes me. I can quite agree although I have only done about 25 years. I think it’s down to who you are and cliques, I often find those who get into district/area/county roles have the biggest voices. (or those that aren’t really interested in young people it’s about kingdom building for them.) Then you have the cliques, there are numerous in my area, you’ve got the ‘old gang’ who claim to do everything and know everything. Then you’ll usually have younger clique who like to rebel against the older cliques. Neither works. I like to keep my head down and just get on, after all scouting is about the young people at the end of the day. PS I’m still waiting for my 20 year certificate. Well said. I quite like that. I get bored of the old 2 hours a week thing, it gets a bit tedious. Totally agree – I do more time as do all the paperwork and organising but have leaders who help run the night and have a lower time commitment. You just work round what works for you and your own section. Matti Duffy I need this badge for my blanket. Also we all know this is so true. However I personally feel we need more volunteers doing less work. So someone who perhaps only does the accounts or someone who prints out the letters or operates the online joining system (guiding). This leaves time for leaders to do the stuff with kids. Definitely! I’ve pretty much been a one man show and there’s not enough time to do it all with other commitments. Making it obvious to parents it a volunteering role may help expectations a bit, and make them realise we need help! I make sure every new young person/parent that joins our group is fully aware that we are all volunteers and don’t get paid a penny! 2 hours…. I got told 1 hour!